Route grid – Міжнародний аеропорт "Рівне"
(Cherkasy) -Rivne- Burgas ( Chernivitsi or Uzhgorod) -Rivne – (Cherkasy) -1 time / week from 01.04 to 20.09 ( on Fridays). Rivne – Warsaw-Rivne – 2 times / week all year round. Rivne – Antalya – Rivne – 4 times / month from 01.04 to 20.09. (Uzhgorod or Chernivitsi)) – Rivne – Kharkiv – Rivne- (Uzhgorod (Chernivitsi)) – 1 time / week – all year round flight to Kharkiv (Sunday evening at 21:00 o’clock – Monday morning 6:00 o’clock (local). Rivne – Minsk – Rivne – 2 times / month all year round. Rivne- Naples(Milan ( Italy))- Rivne -2 times / month all year round. Rivne – Kutaisi- Rivne – 1-2 times / month all year round. Rivne – Istanbul – Rivne – 2 times / month all year round (cargo-passenger). Rivne- Kosice (Slovakia) – Uzhgorod – Rivne- 1 time / month all year round (flight with replanting) towards – London, Milan. Rivne – Васаі(Romania) / Timisoara – Chernivitsi – Rivne – 2 times / month (flight with replanting) towards Great Britain, Belgium, Italy, France. 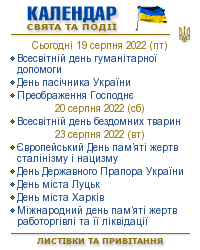 In future routes to Odessa, Dnipropetrovs’k, Kherson, Zaporizhzhya, Mykolayiv will be taken into the consideration. We consider aircraft passenger seats 25-50 -70.